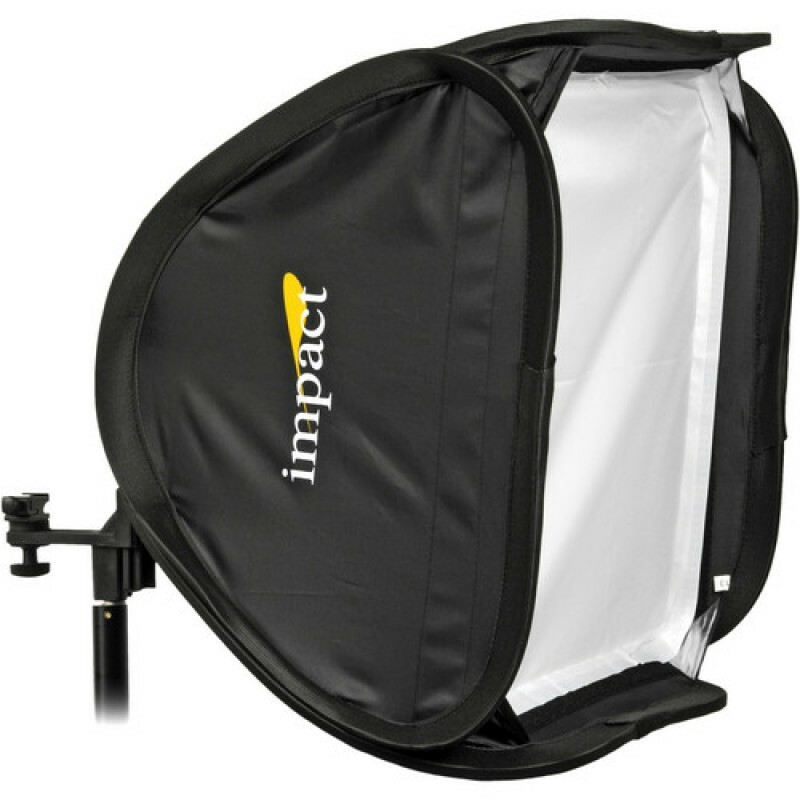 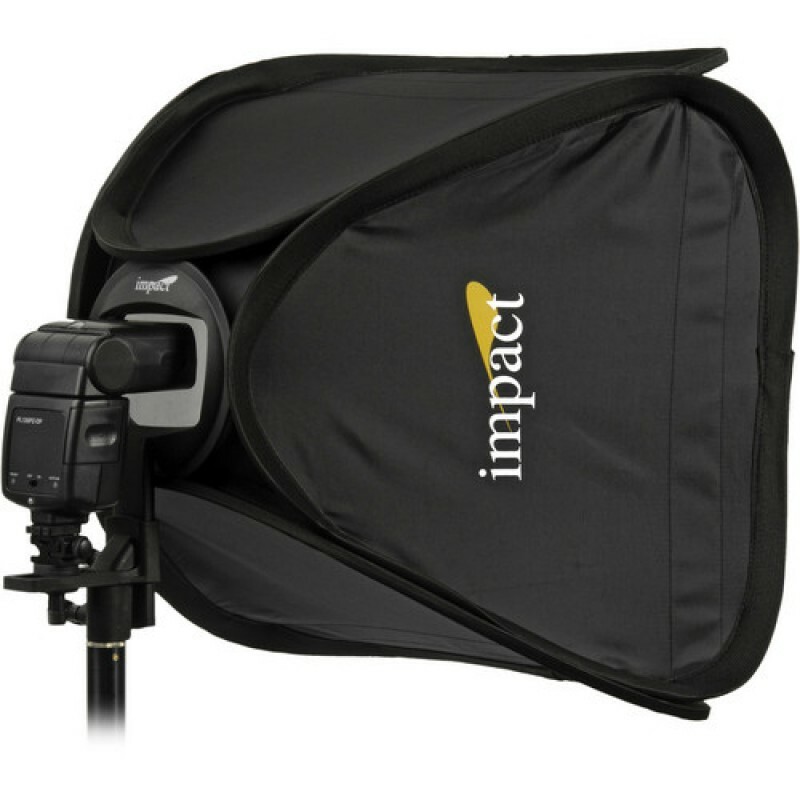 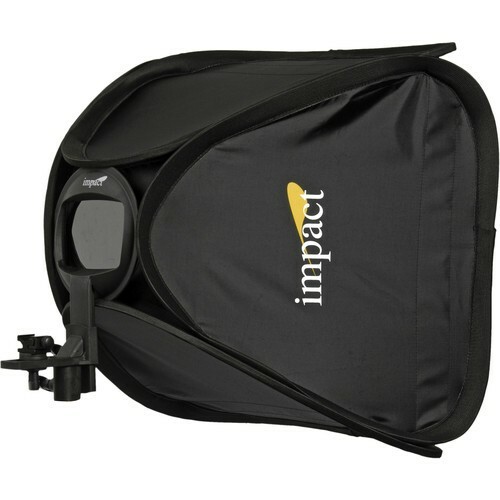 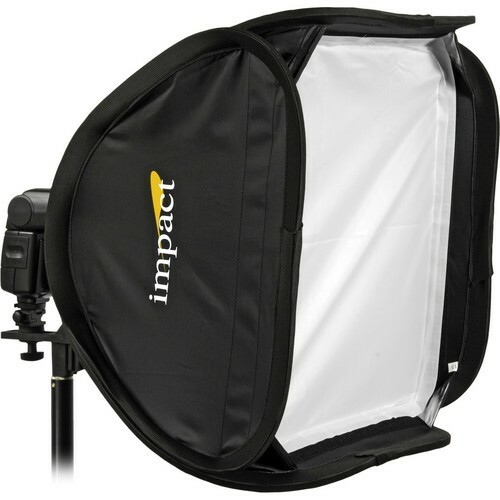 The Impact Quikbox (15 x 15"") is a great way to expand the capabilities of your on-camera, shoe-mount flash. 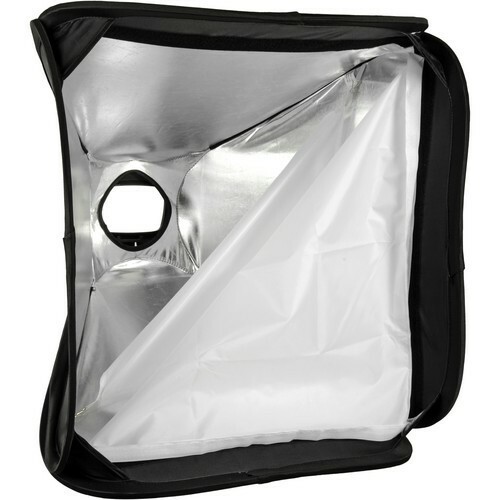 The Quikbox lives up to its name by popping open and assembling in a couple of minutes. 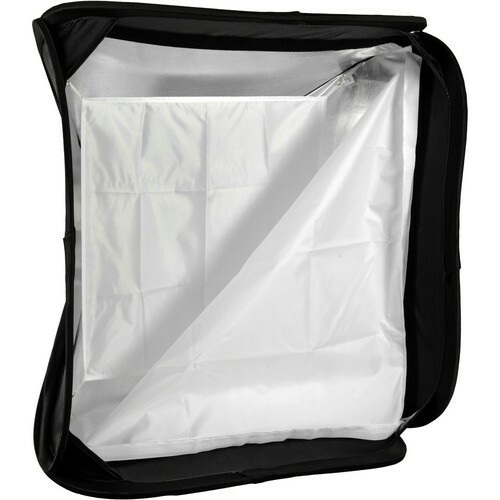 Just pop open the softbox, add the diffusers and included adapter ring and shoe adapter, mount on a lightstand and you're ready to shoot. 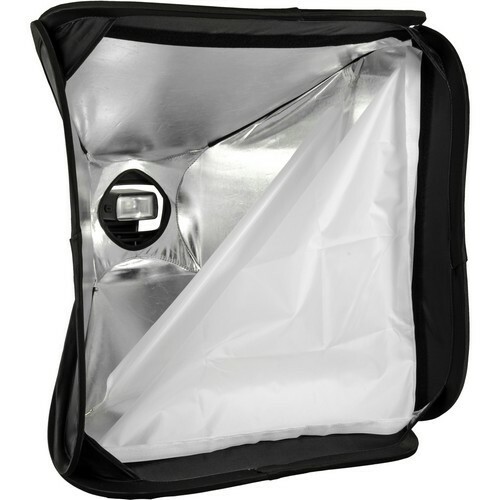 Using a softbox with your shoe-mounted flash will help to diffuse and to evenly distribute the light output of the flash. This will help to reduce those harsh shadows which are often the result of flash photography. 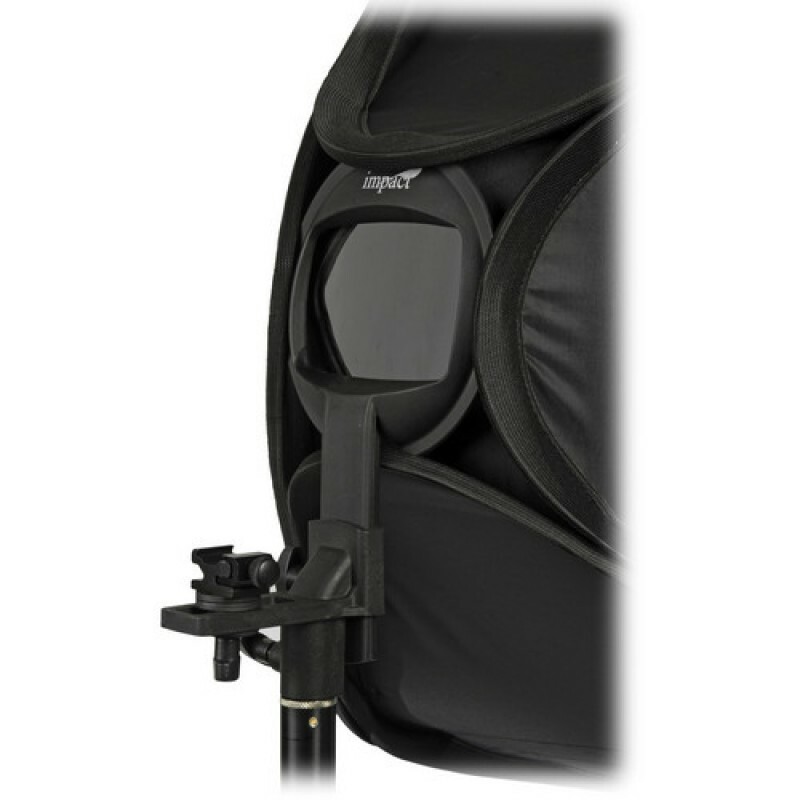 Also included is an internal diffuser, to minimize the possibility of hotspots. 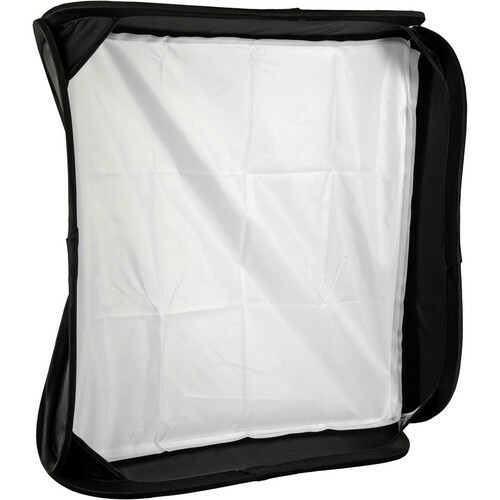 In addition, the recessed front face helps to control light spill. 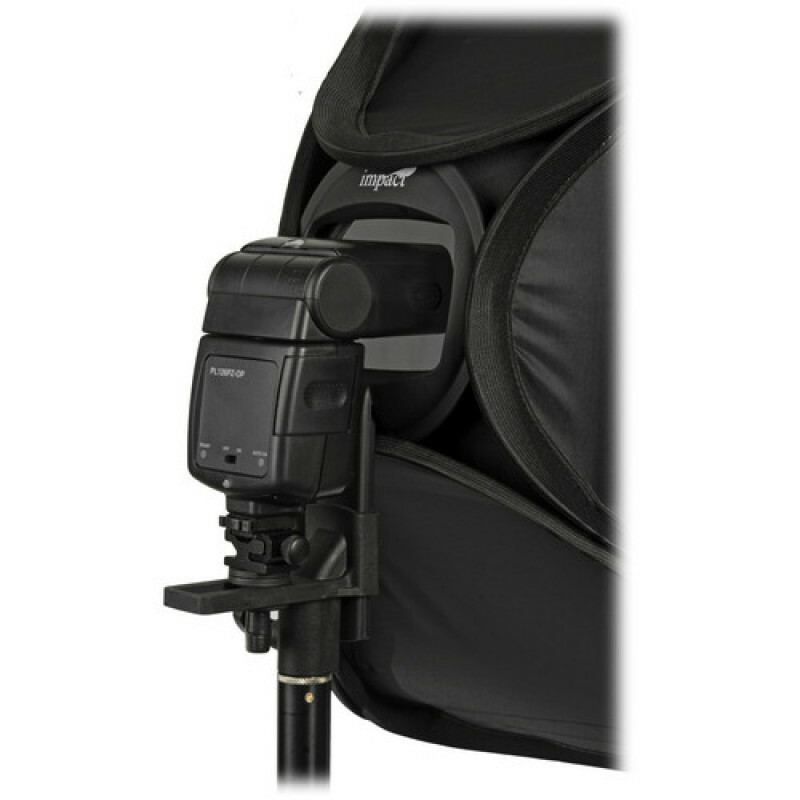 The included flash bracket is adjustable vertically, and features a universal shoe which is adjustable horizontally. These adjustments make this unit compatible with virtually all standard flash units (incl. Nikon SB-900 & SB-910), as well as radio receivers. 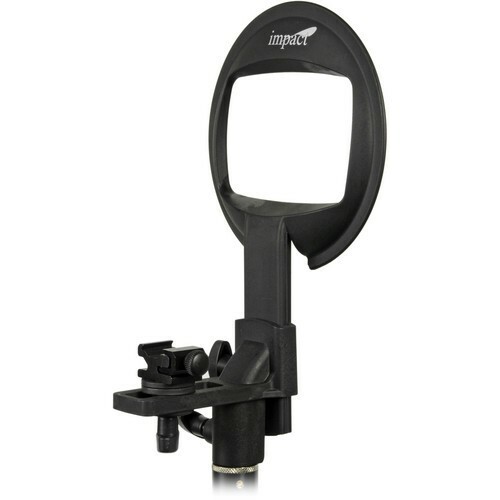 In addition, for those receivers that do not feature a bottom shoe connector, the bracket shoe is removable to expose a male 1/4""-20 screw. There are also three plastic washers included in the shoe assembly, to accommodate receivers of various sizes.